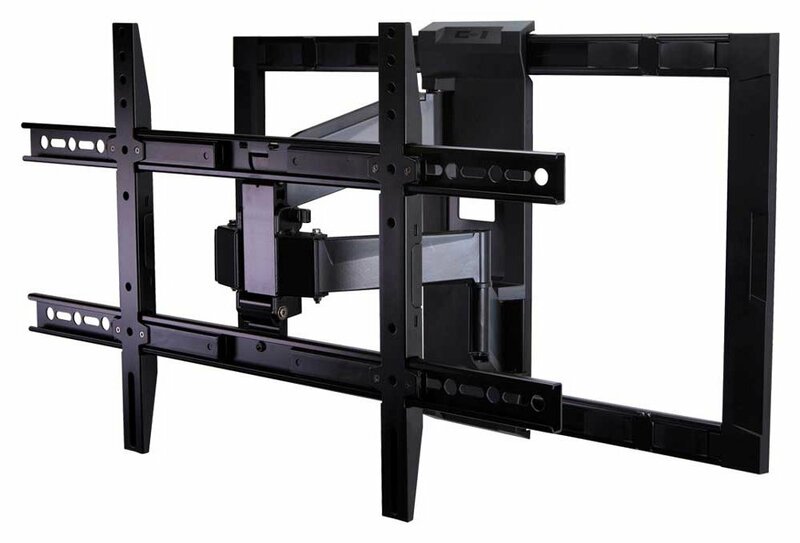 The OE150FM is a low profile, full motion mount for the popular TV size range of 32–52". Full motion with left and right pan. 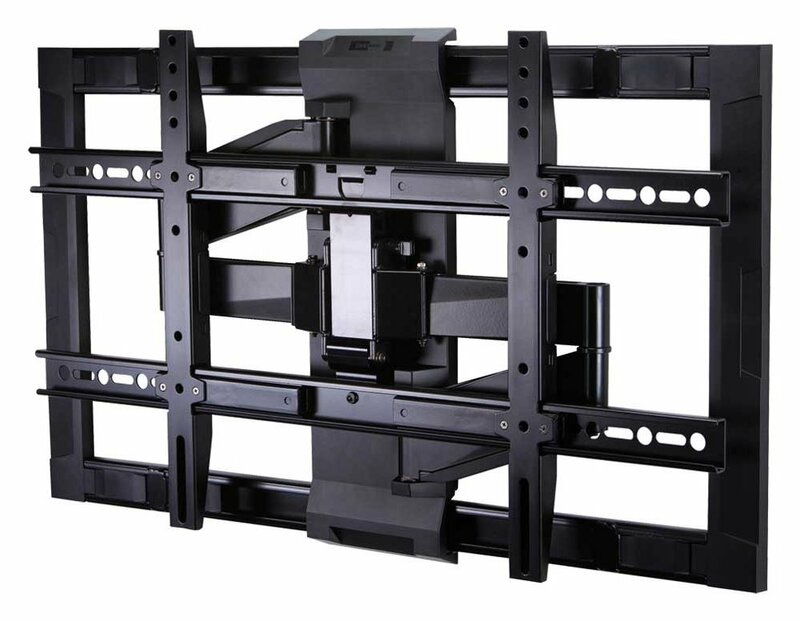 Low profile design, cast aluminum arms for superior strength and highly stylized to compliment HD and Ultra HD panels. 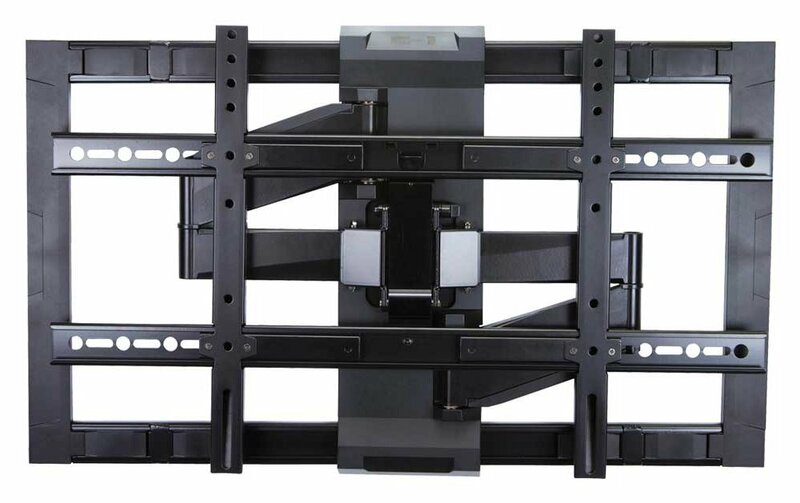 Unique joint design offers easy, smooth movement of the TV and the special channel routes cables from TV to wall, concealing wires. Lift n' Lock makes installation a three step process. 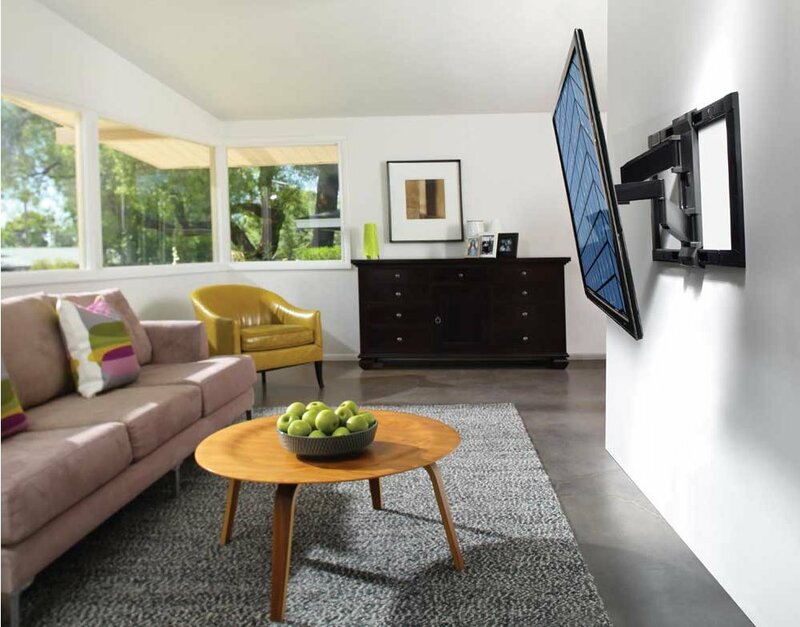 TV tilts also forward to reduce screen glare.